Vist the Indian Yellow Pages Businessfinder.in homepage. Click on the submit Listing button. Why should I use the Businessfinder.in ? 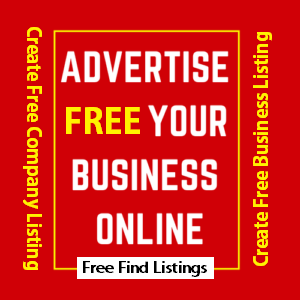 The business finder is a powerful local Business Directory search engine helps you to find the Business Directory / products / services / persons / Help Line Numbers / Jobs etc are available to the public in the given area of community. This website makes you available to market your services which increase your business. Professionals are spending thousands of dollars to promote them self to increase the business but return are less. To take out all obstacles and to help your success the FreeFindAdvisor created powerful Business Directory search engine to market your services to the community who are waiting for your services.